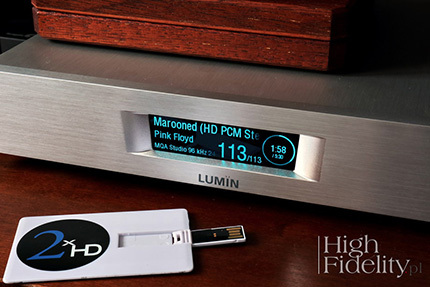 High Fidelity take a look at LUMIN D2 and find a fresh sound. Its sound is like an attractive view and a sunlit side of the house in one. It's a device that lets you enjoy music no matter what source the files come from. 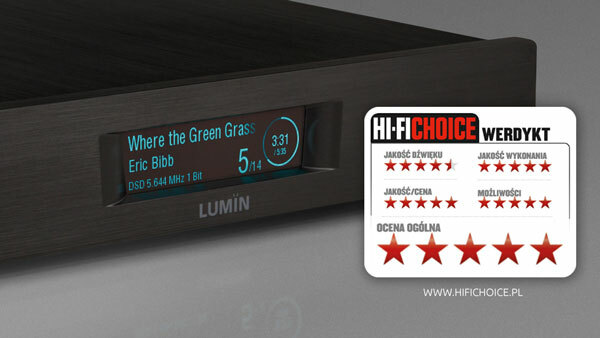 Hi-Fi Choice Poland have just published their 5-star review of the new LUMIN D2. Add to this the functionality that covers virtually everything a demanding user can expect and we get a device that is simply excellent, and one which a music and emotion lover will find it difficult to find competition for at a similar and even slightly higher price level. LUMIN engineers once again did a great job! We can conclude that LUMIN does much more than imitate and plays a role at the forefront of streamer development. With the playing of DSD, the LUMIN D2 showed that there could be some gain against WAV. As if a very thin veil between listener and musicians was taken away. The listener can come a little closer to the stage with DSD and the stage can still gain a bit of breadth and depth. The operation is intuitive and easy. The sound is neutral with a very light touch of warmth. Those looking for a streamer with a good DA converter on board should put the LUMIN D2 on their research list. 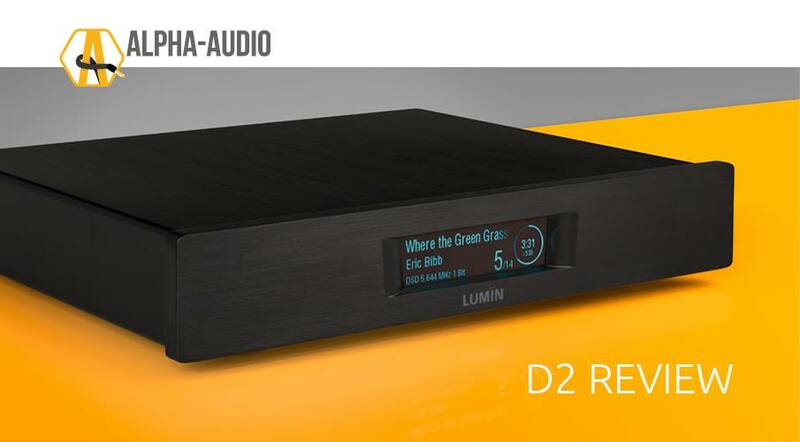 Dutch magazine Alpha Audio have published their review of LUMIN D2, branding it "Absurdly Good". We hear a strikingly detailed and smooth character for a player in this class. You miss nothing when it comes to detail, precision, timing and experience. The LUMIN D2 has surprised us positively. 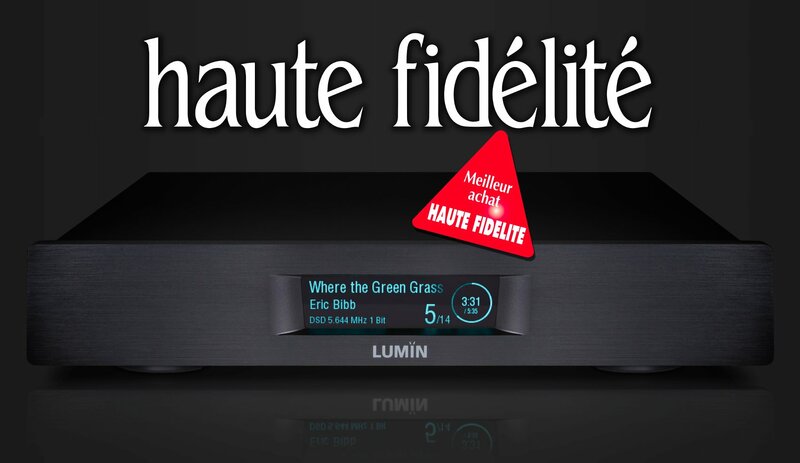 Haute Fidélité have published their absolutely stellar review of LUMIN D2 awarding it "Best Buy" in their 4-page review. LUMIN expresses itself precisely by a beautiful light in the high frequencies but accompanied by a variety of nuances in the higher harmonics taking advantage of the resolution of the best files. A model of its kind and a total success. 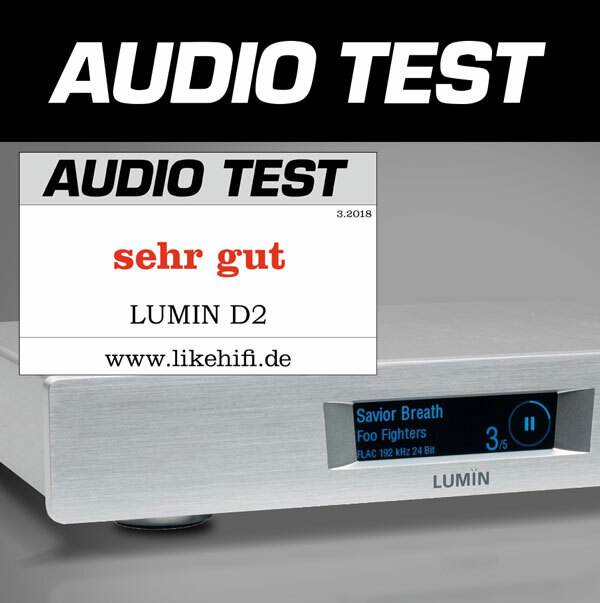 Audio Test Magazine have reviewed LUMIN D2 as their latest issue awarding it their "sehr gut". While many DACs and streamers sound unemotional and reserved LUMIN is able to illuminate the music strongly without being harsh or chinking. A musical spring, which touches the soul. Charming! So now it is very clear why Pixel Magic carries "Magic" in its name. 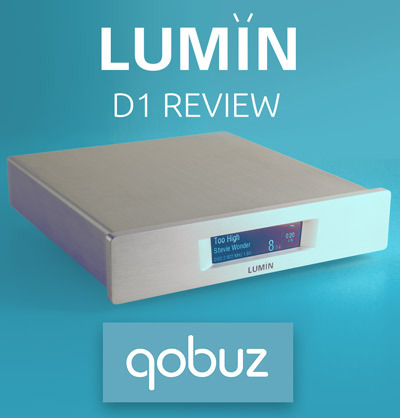 Positive Feedback have published their review of LUMIN D1 on it's own and together with the Sbooster power supply. the D1 captured that ineffable sense of airy openness that one typically associates, here we go again, with analog playback, not digital. The Lumin weds digital's traditional strengths (low noise, linearity, and absence of background noise) to many of analog's defining qualities (fluidity of presentation, overall coherence, musical flow, air and transparency) in ways that I have never experienced before. 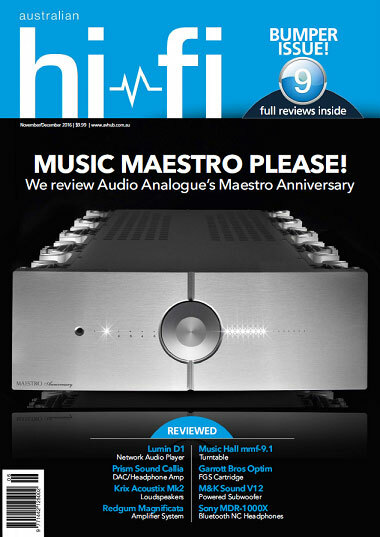 Australian Hi-Fi Magazine have published their review of LUMIN D1. 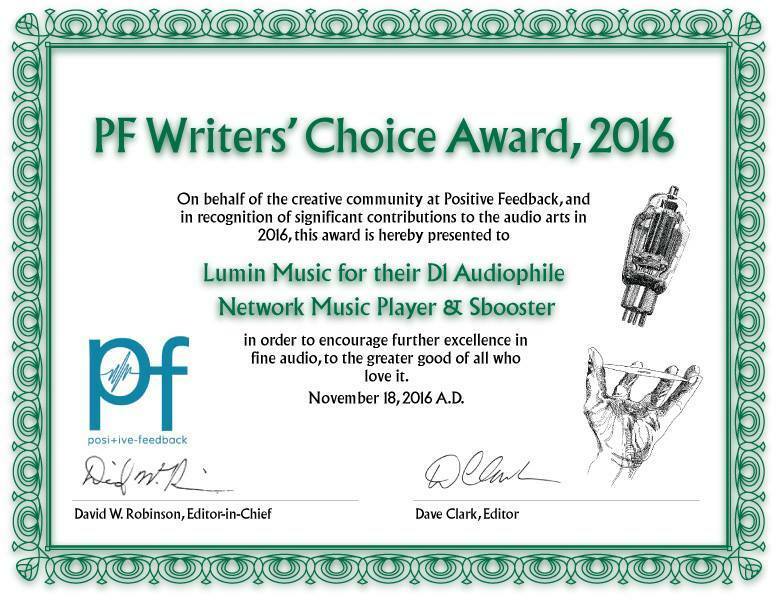 Lumin’s D1 Network Music Player returned outstanding results in all the tests performed by Newport Test Labs. the D1 played ordinary CD-standard music files with a level of fidelity that has escaped most of the CD (and SACD) players I have ever used. Lumin’s new D1 is one of the best-sounding, most full-featured and best-looking network streamers available. Sound has a very musical profile with "body"
I strongly recommend it to all music lovers and to all vinyl fans, because D1 style is very similar to this of a truly analogue source. 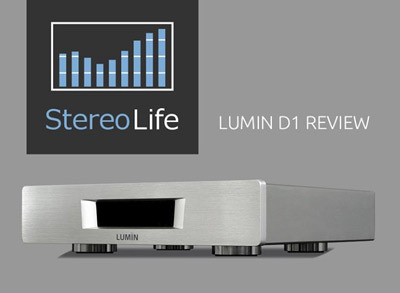 StereoLife have published their LUMIN D1 review. 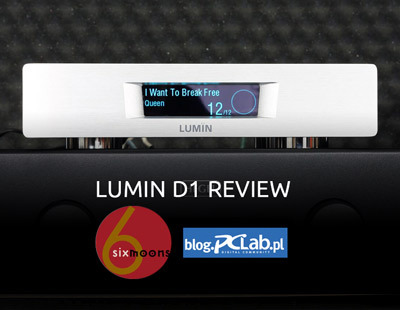 The 6moons D1 review have published and English-language version of Dawid Grzyb's pclab.pl review. 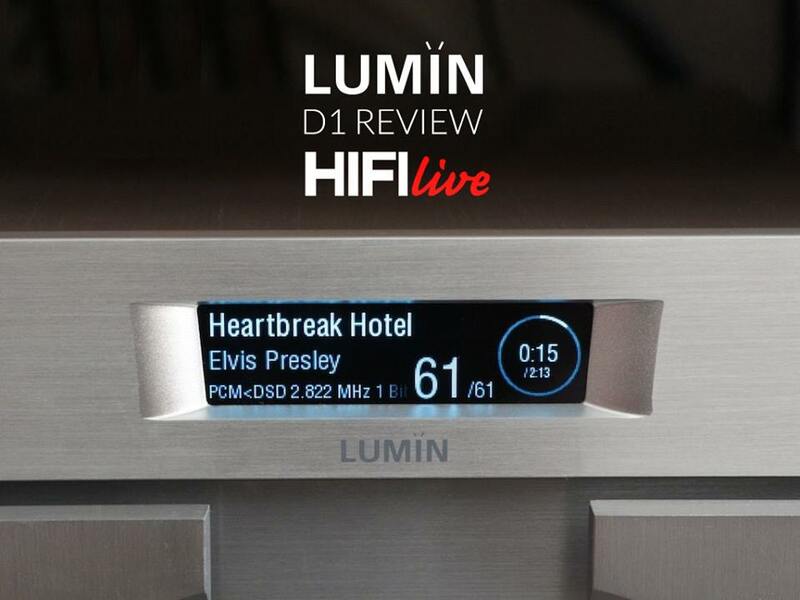 For me the Lumin D1 was a hugely positive surprise and sonically unexpectedly refined. Once one tries navigating music with the Lumin, there's no turning back. For the money, it doesn’t get much better if at all. In outright sound quality, it’s like Lumin forgot to tell the D1 it was the brand’s entry-level player. it’s an exceptional £5,000 network player, for £1,600. ...any way you look at it, this is like getting 90% of the product for less than 1/3rd the price. What’s not to like about that? 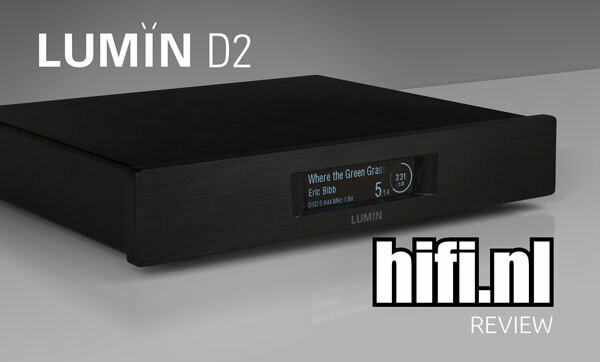 Marcin Olszewski from SoundRebels takes an in-depth look at LUMIN D1.